Laughter, sweat and tears were produced. In the end, the top content creators were chosen from close to 600 entries. 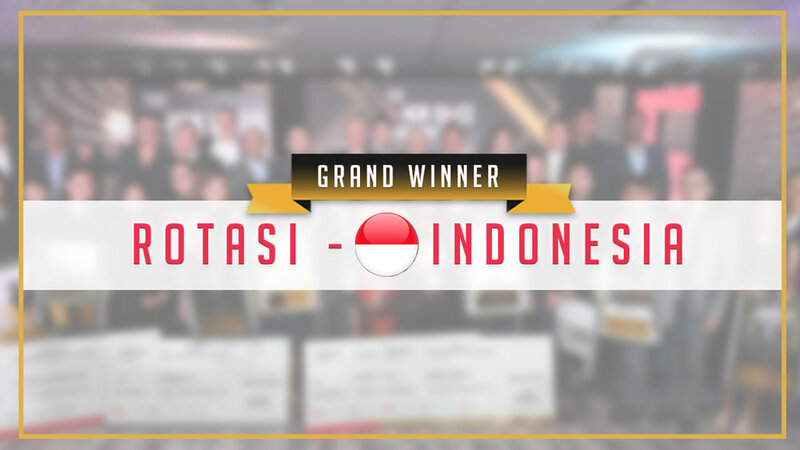 Rotasi from Indonesia walked away the Grand Winner and Pagnanakaw from Philippines was the runner up. To get to know more about our finalists, please click here. Raqey is an exceptional creative head, trainer, professional Photographer and videographer for the last 12 years. He’s interest in photography begun in his young age and begun to follow his lifelong dream. Coming from a humble family, he worked his way through to become Tanzania’s leading photographer. His endless eagerness to learn from the greats in the field helped shaped his creative mind and a hard-working man. In a country where photography was simply deemed to be a petty job, Mr. Raqey shaped the industry. His creativity and quality work is well recognized by big brands all over Tanzania and has well shaped their projects ranging from advertising campaigns, shows, fashion, events and many more. A man who puts his hobby as his daily job has his heights unlimited, he later formed I-VIEW STUDIOS not only as a photography company but also a videography, photojournalism, script writing, animation, copywriting and advertising company with a highly experienced team all whom were hand crafted by Mr. Raqey himself. Simon has been recognized by the industry on numerous occasions including being named in the Ad News Top 40 under 40, The Australian Music Directory Power 50, and the Media Week Top 25 People in Media. Simon and Emotive arefortunate enough to have won some global and local awards recognizing our work including a Cannes Lion in the Cyber category, a LIA in the humour category, ADMA AC&E awards, the Grand Prix winner at BEFest and the judges choice award at the Video Marketing Excellence Awards in New York. Philbert Ortiz Dy has been reviewing movies since 2007. In 2009, he took part in the International Film Festival Rotterdam's Young Critics Program. His work has been published in a wide range of both local and international publications, and he is currently a writer-at-large at Esquire Philippines. He is the co-curator of the New Filipino Cinema program at the Yerba Buena Center for the Arts in San Francisco. He is a Gemini, not that he thinks it matters. He sees almost every movie that opens in local cinemas, because no one else will. Mr. Pratthana is responsible for AIS overall marketing implementation, including strategic planning, providing opportunities for content creators in digital landscape, and driving digital contents to meet demands of the new generations. He is also a vivid contributor in creating digital services to feed regional markets. Monty Tiwa is an Indonesian screenwriter, composer, film producer, film editor, film director, and also known as a songwriter. He was born in Jakarta 28 August 1976. He enrolled in University of Kansas before he returned to Indonesia and worked as creative writer (2002-2003) in Trans TV, head section creative (2003-2004) in RCTI, and creative director (2004-2005) in MNC. Currently, Monty works as an independent writer and film director. Moreover, Monty also known as a songwriter. "Biarkan Bintang Menari", "Mendadak Dangdut" soundtrack , and Indonesian Idol’s theme song are his creation. Meanwhile, as a movie director, He has directed many movies such as; “Sabtu Bersama Bapak” (2016) , “Shy Shy Cat (2016), “Aku, Kau & KUA” (2014), “Get M4rried” (2013), “Get Married 3” (2011) and many more. As a screenwriter he wrote many scenario for, Test Pack: You Are My Baby (2012), “Mengejar Mas Mas” (2007), “Mendadak Dangdut” (2006), “Denias (2006)”, and many more. Monty has been awarded as the Best Original Screenplay Story on Festival Film Indonesia (FFI) 2007 for Mengejar Mas Mas. In 2006, He won an award as Best Original Screenplay Story, on Festival Film Indonesia for Denias, and Best Screenplay (Feature Film Release) on FFI Vidia Cup 2005 for “July di Bulan Juni“.